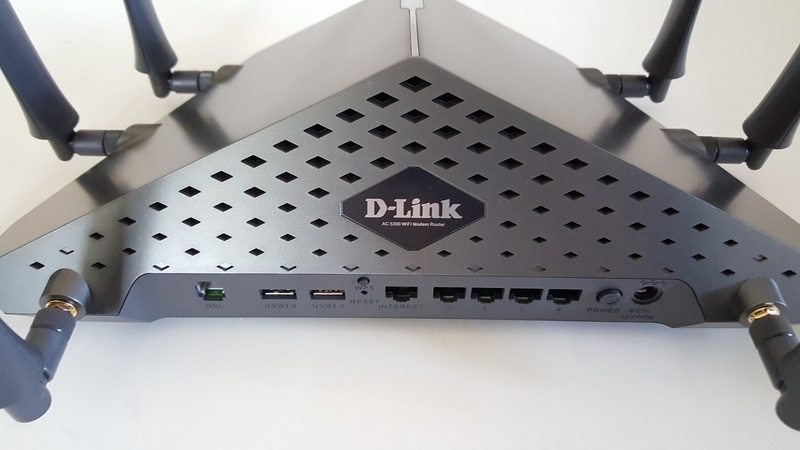 Summary: D-Link Cobra DSL-5300 provides some excellent Wi-Fi stability and very fast speeds! 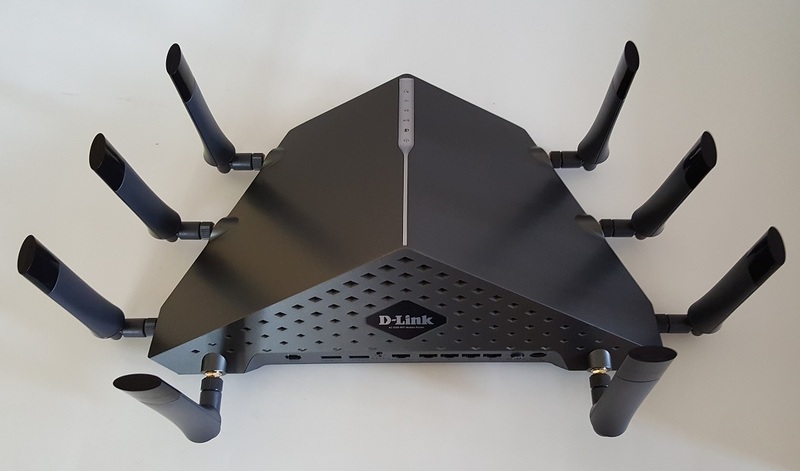 D-Link have just launched their fastest AC5300 MU-MIMO Modem Router with their powerful Cobra DSL-5300 which is now available nationally across Australia with a RRP of $749AUD (Nov 2017). 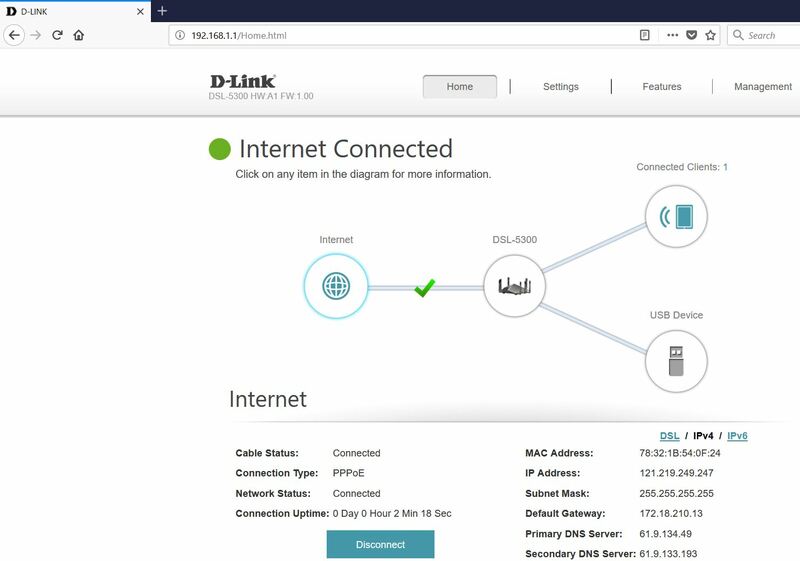 Sure, it’s on the pricey side of things but D-Link give the user some great bang for their buck, particularly when it comes to performance and what’s inside the product. 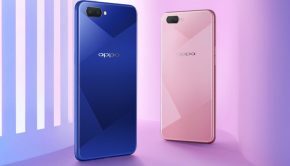 Given that, the Cobra DSL-5300 has been created for users wanting the best Wi-Fi speeds that is future proofed as it supports NBN (National Broadband Network) and is powered by a 1.8Ghz Quad-Core Processor with the latest MU-MIMO Wave 2 Tri-band Wi-Fi technology for high-speed wireless. 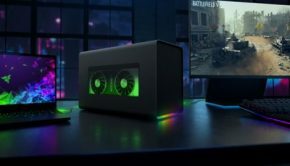 This means that the Cobra DSL-5300 is ideal for users wanting to stream 4K video, gamers or people sharing their Wi-Fi connections in their homes. 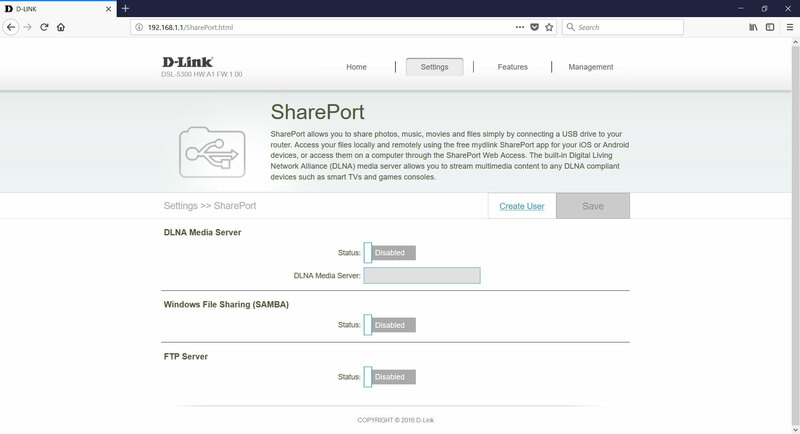 Add in DLNA media server support and this allows you to easily share your media files across your network plus it comes with 4 gigabit LAN ports, including a dedicated Gigabit WAN and D-Link ensure that the end-user has everything they need for their network needs. 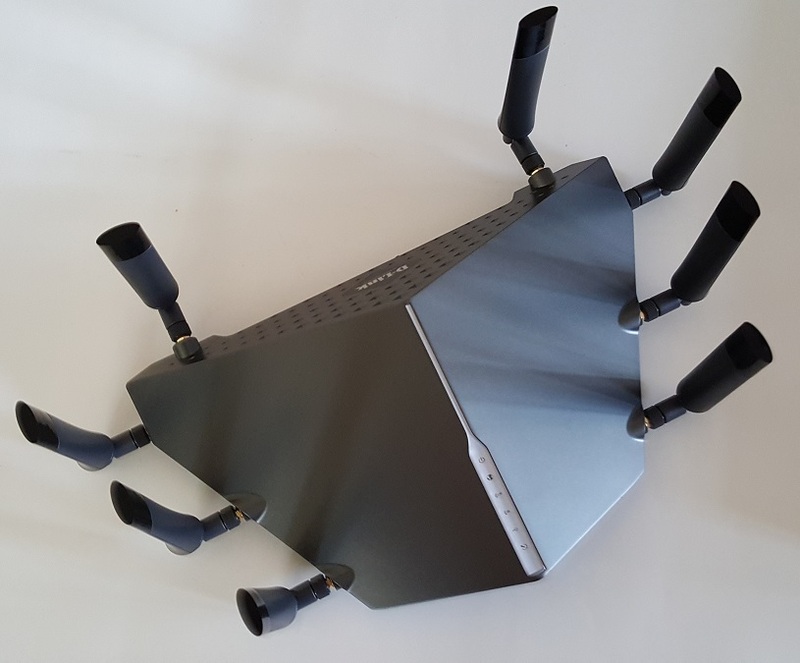 Like the D-Link Taipan, the AC5300 MU-MIMO Cobra has this alien-like spider design that thanks to its eight antennas helps boost your Wi-Fi signal in your home or small office, including the inclusion of the latest MU-MIMO technology and wave 2 wireless. Accordingly to D-Link the combined speed on all three bands of the Cobra is 5.3Gpbs which is the theoretical speed of 1 gigabit per second on the 2.4Ghz band and 2.16 gigabit per second on the two 5Ghz bands. 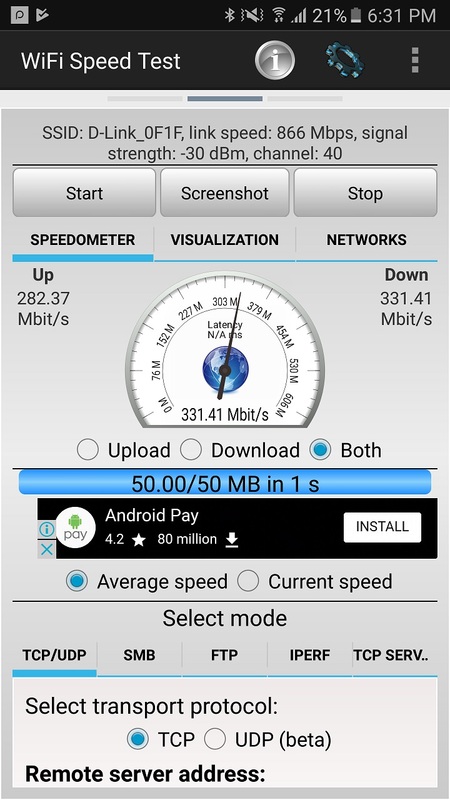 In the real world, speeds are a little different but we’ll get to that in our benchmarks. 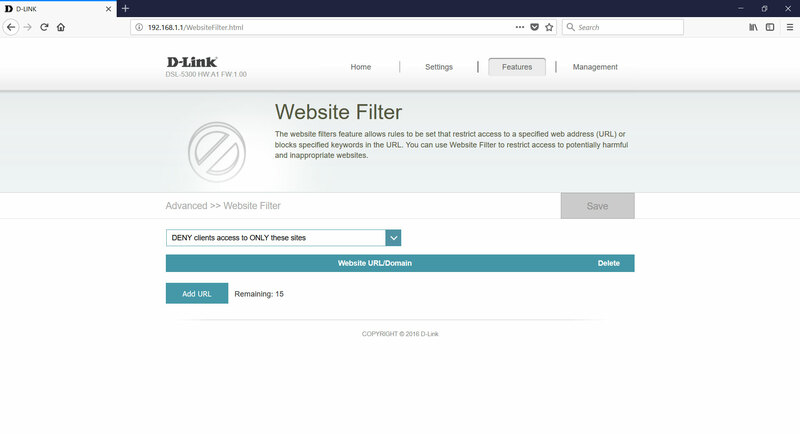 On the front of the unit are the LED’s that inform the user of what the product is doing like downloading information or informing you whether it’s connected to the net. 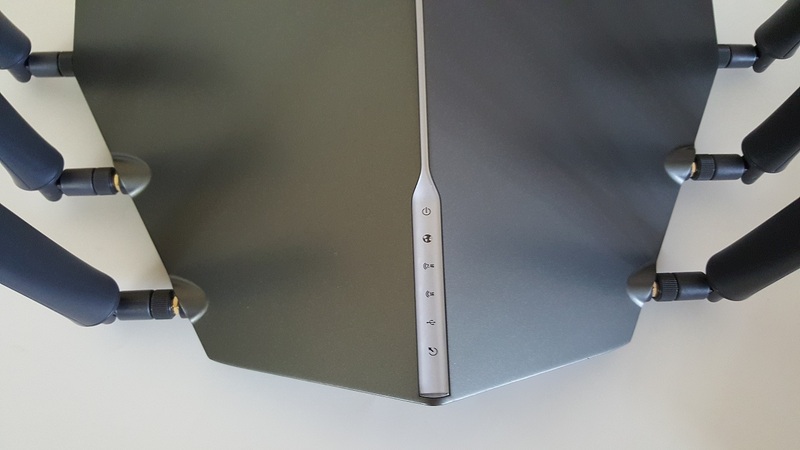 The back of the Cobra offers USB 2.0 and USB 3.0 ports in order to connect external devices such as a printer, hard drive or USB stick or connect other fixed devices via its WAN or Ethernet ports. 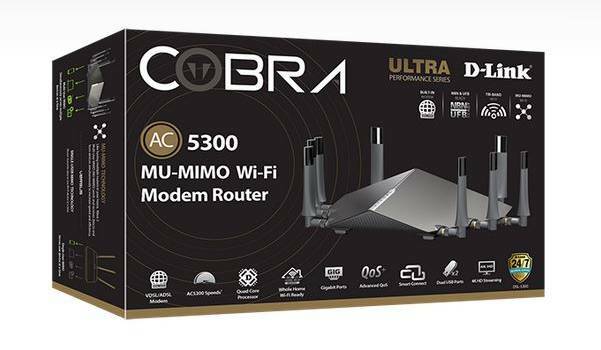 Another interesting element with the Cobra is Advanced AC SmartBeam technology which helps focus the Wi-Fi signal to your device, including SmartConnect which ensures the best possible speed thanks to selecting the correct band. 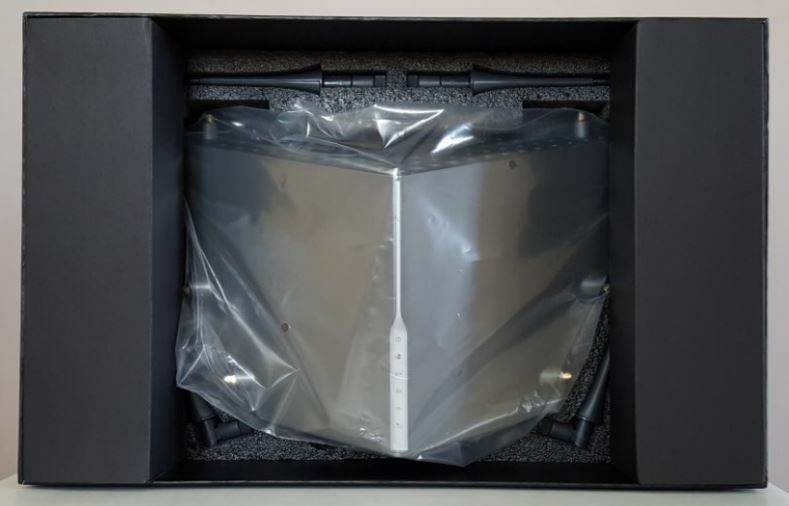 As mentioned, the Cobra has 3 bands which include one at 2.4Ghz and the other two at 5.0Ghz which are ideal for newer devices and for those having challenges with SmartConnect, this can be disabled. 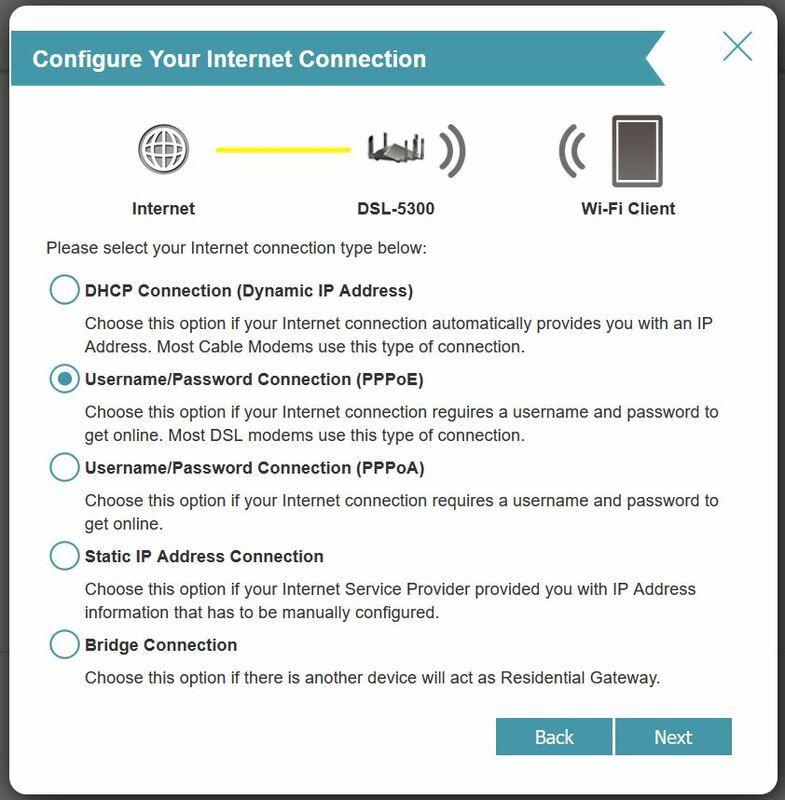 Installation of the Cobra is very easy and D-link include everything you need to setup this wireless modem router. 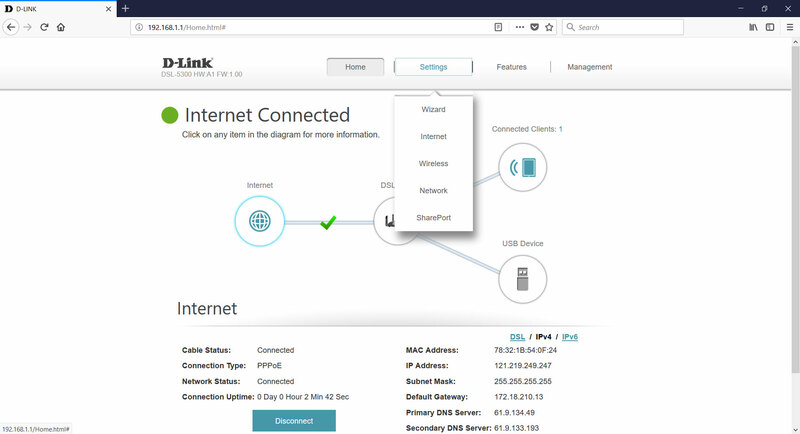 The first step is to go to the IP address of 192.168.1.1 and follow the setup wizard as mentioned in the quick installation guide. 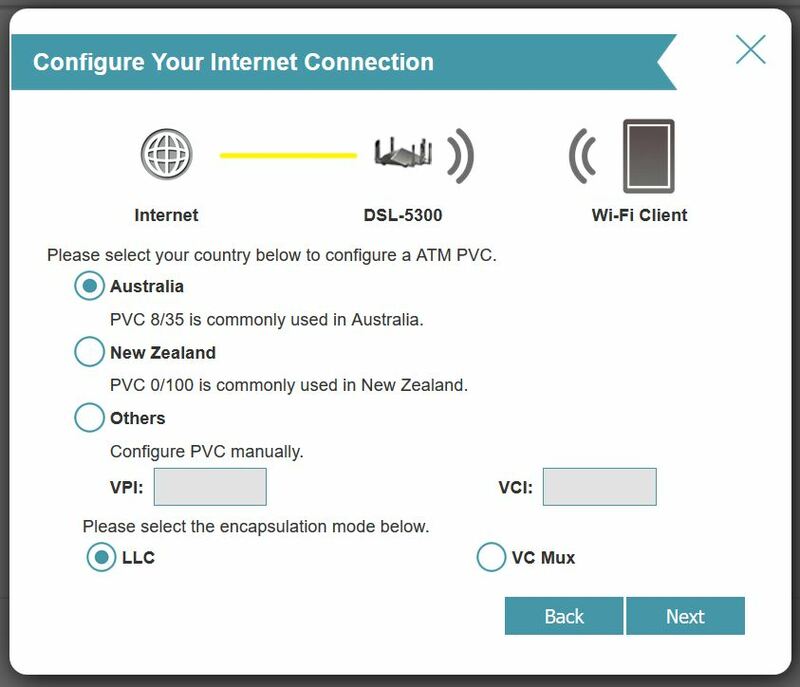 This will allow you to setup your connection such as ADSL2 or NBN and the entire process took us just a few minutes to set up. 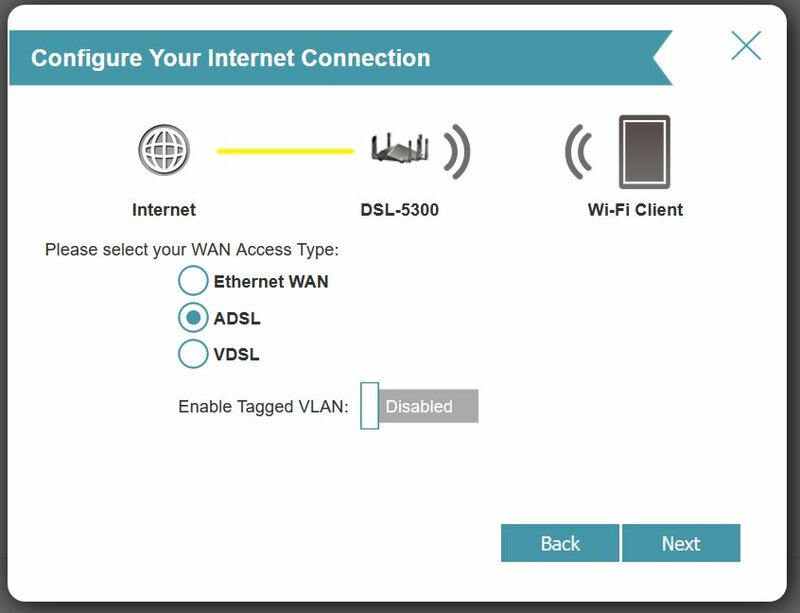 The interface of the Cobra DSL-5300 is also quite easy to use and advanced users will find the information they need with ease. For example, tweaking your internet connection, setting up an FTP server or checking if there is any firmware for the Cobra. 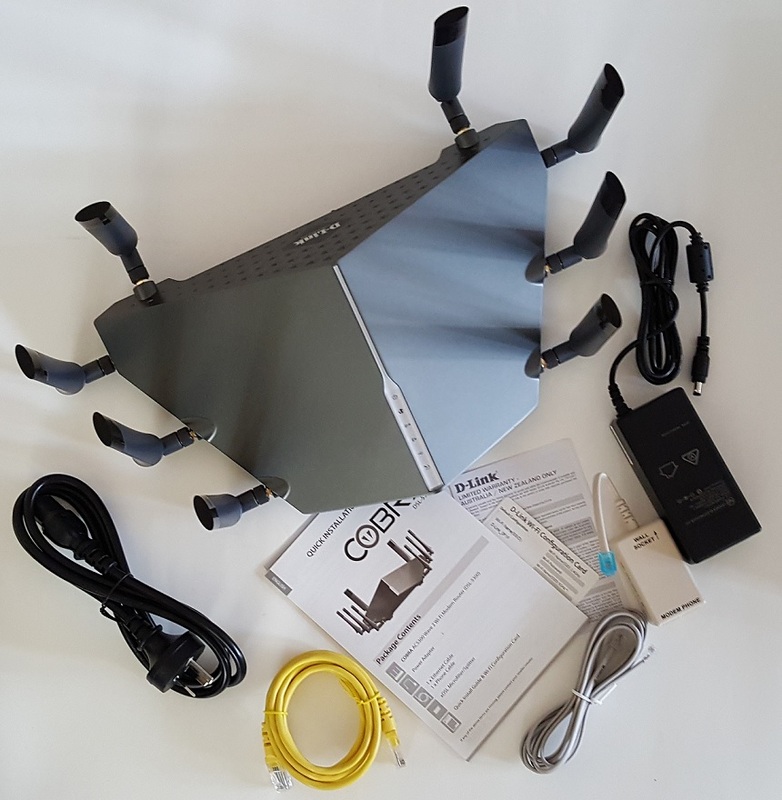 The main focus of our tests was the Wi-Fi capabilities of the Cobra which allowed us to benchmark how the MU-MIMO Modem Router performed throughout our home. With the results below as indicated by WiFi Speed Test, the speeds go from furthest of our house to right next to the Cobra. The first two scores are about 10 metres away from the Cobra with two walls, the following two about 3 metres away, including a wall and the bottom scores is right next to the product. As you can see, the Cobra keeps the speeds quite stable and does lose some capabilities at its furthest point but still very usable. 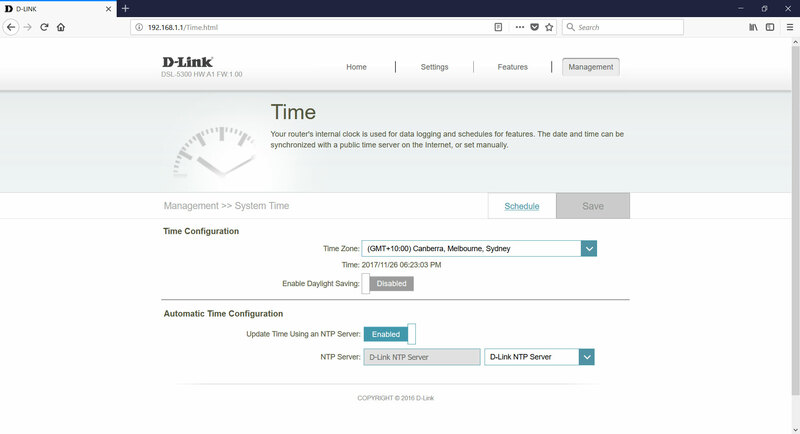 We also tested SpeedTest.net with our ADSL2 connection and thanks ([sarcasm]) to the Federal Government we are finally getting NBN sometime in December 2017. 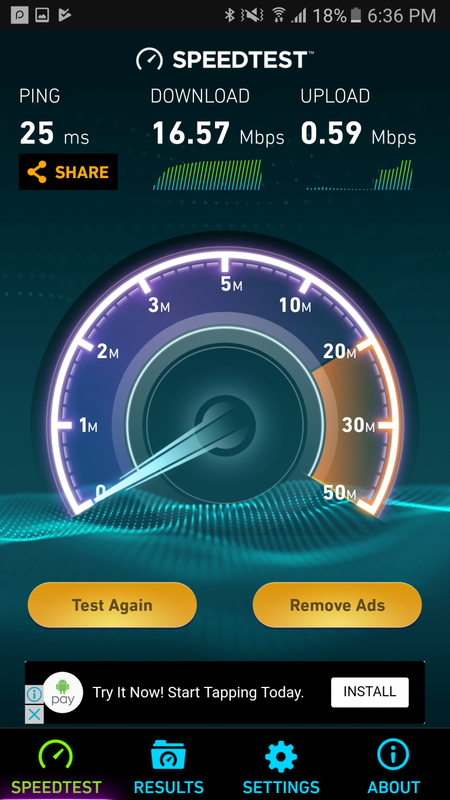 Right next to the Cobra, we scored a ping of 25ms, a download of 16.57Mbps and an upload of 0.59Mpbs. 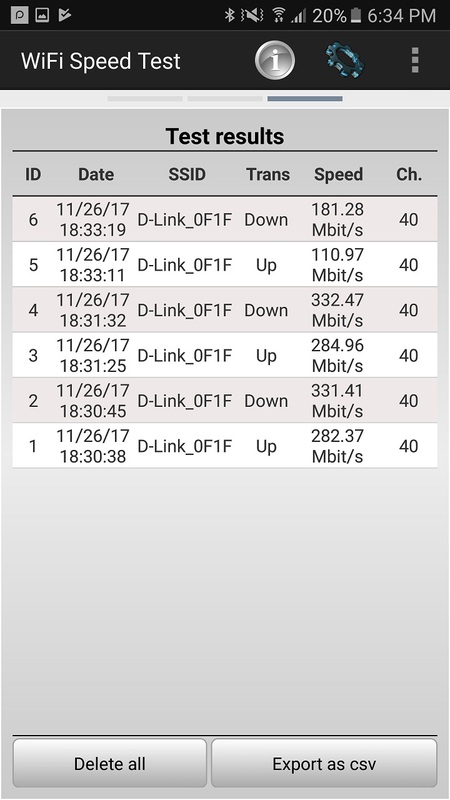 At the other side of the house (which is not line of sight and contains two walls), it scored a ping of 25ms, a download of 15.03Mpbs and an upload of 0.58Mpbs. 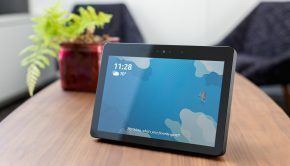 In terms of real-world connections, we had two android phones, a PS4 Pro, an Xbox one X, a security camera, a Hisense 65″ 4K HDR smart TV, and two PVR’s with no issues whatsoever. Even when the PS4 Pro or Xbox One X were downloading games or updates, the other devices still accessed the net with no issues. 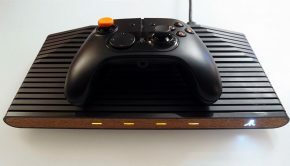 It should be noted that on our old Wi-Fi modem router, our PS4 Pro did have issues at times with timeouts, however not so on the Cobra as it kept a stable connection. So whether we were gaming, watching 4K videos or just general surfing the net, the Cobra performed very well. 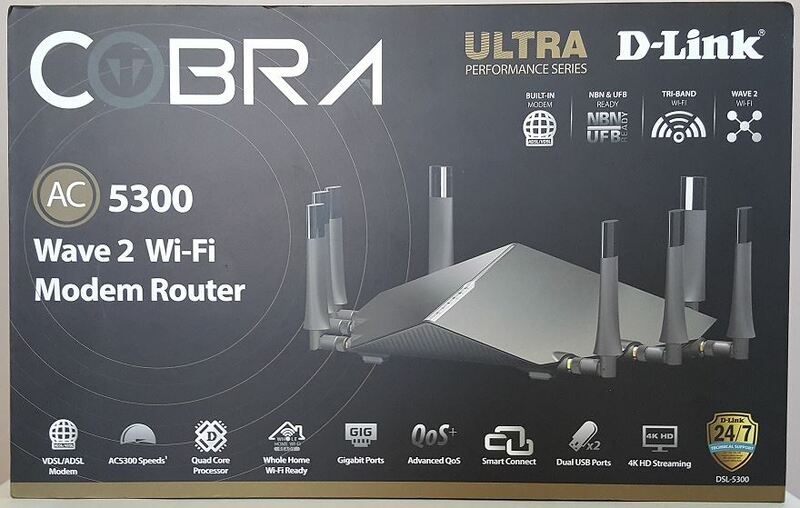 The Cobra DSL-5300 is a super-fast modem router which offers excellent Wi-Fi connectivity, easy installation and is perfect for users wanting high speed. 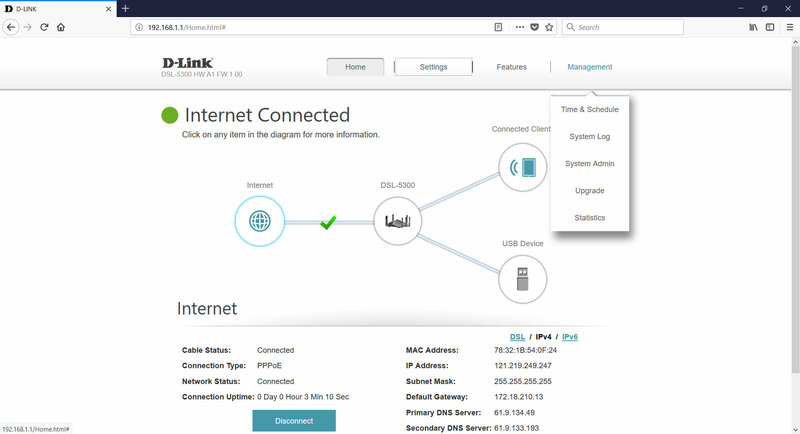 It offers support for a variety of connections, the ability to connect USB devices and more importantly, easy installation and excellent performance.